It’s that time my friends. Time for us all to shuffle ourselves off of Google Reader. I’m very sad because I’ve used it every single day since it was offered to Google users. It replaced BlogBridge, my favorite RSS client due to its lightweight server side always-available-on-every-platform appeal. But it’s shutting down within the next few weeks. These are sad times my friends. We’ve all seen the discussions on sites like Lifehacker, PCWorld, and TechCrunch all claiming that there are multiple replacements and/or alternatives. I’ve cycled through the gamut of them and found two relatively unknown gems I’d like to share with you. I’ve used both of these for a couple of days and I can honestly say…depending on your focus when using a reader, they’re quite nice and can replace Google Reader completely for you…and chances are you haven’t heard of them. Let me start by saying if you’re a fan of magazine style flipboard readers, nothing beats Feedly. However, I don’t really think Feedly fits exactly with what Google Reader did. So while I don’t mind using it for say, things to post on Pinterest…it’s not exactly what I need to get through tons of news quickly. I find the magazine style pictures distracting when I attempt to make it through hundreds of feeds daily with a focus on news reading. If you’re not like me, Feedly will work fine for you. If you are like me, read on and I’ll show you 2 fantastic Reader replacements that you probably haven’t heard of. Let’s start with the best reader I’ve found to replace Google Reader…InoReader. 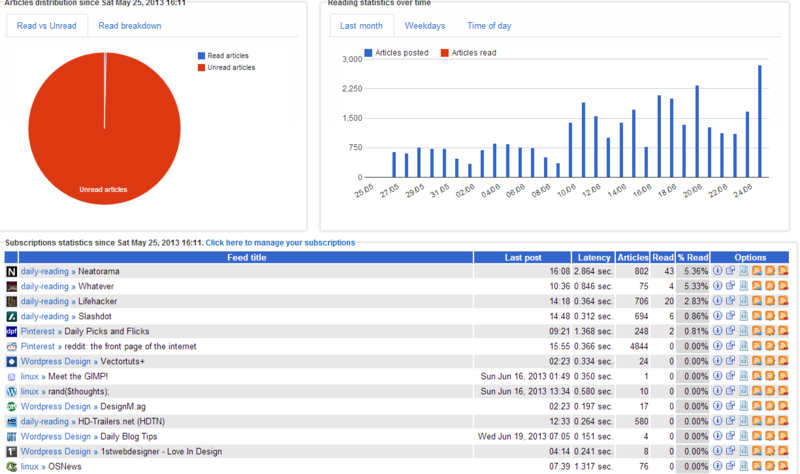 InoReader is a free online reader that allows unlimited feeds with a nice, minimalist UI. I’ve found the speed of displaying feeds to be fantastic…it’s every bit as fast as Google Reader was. I’ve also found keyboard shortcuts to be functional and fast. There are 2 feed layouts available and that is full articles (expanded view) and lined articles (list view). This is perfect for someone with as many feeds as I have. Do you want statistics? InoReader has them. It’s very comparable to Google Readers Trend section. 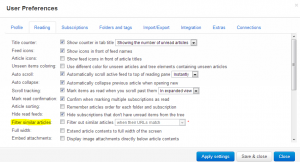 All in all, I’ve found InoReader to be EXACTLY what I need in a Google Reader replacement. I’m sure some people will find small, niggling things that stick out for them…but for me, it does everything I need it to. I was able to import my Google Reader subscription file from Google Takeout in a matter of seconds…this in itself is head and shoulders above another reader I tried called “The Old Reader” which took 2 weeks to import my feeds. InoReader also has a mobile version of its website that autosyncs with my feeds in the browser which is nice when I’m using my tablet or phone. While there is no Android application as of the writing of this article, the mobile site is quite nice and simple and allows me to do everything I need to do and looks very similar to Google Reader’s mobile site. There is a Chrome App also available in the Chrome Web Store. Add things in like ability to search through your feeds, multilanguage support, as well as Pocket and Instapaper integration and you’ll understand why I think that this is the best Google Reader replacement available. Final Verdict? It’s going to be sticking as my reader for a very long time. Pros: Fast, simple, good mobile experience, Android App due for release in July, Standalone login or Google authentication, uses own engine to drive feeds, sound alerts, desktop notifications, ability to change skins/themes. Cons: No tags yet (planned for later), Reordering of feeds not yet available (also planned), a few other small things detailed here. Maybe InoReader has too much going on for you. If that’s the case, you’ll love the minimalist approach of Red Tree Reader. Please be aware that Red Tree Reader is DEAD simple…as in, there are absolutely NO distractions or features that get in the way of your feeds. The news is front and center. With both whole article view (expanded) and a compact view (list) you can cycle through news quite quickly. Red Tree Reader supports the same keyboard shortcuts you’ve come to know and love in Google Reader. It’s creators GUARANTEE it is bug free…and you can read more about this nice minimal reader here. If you’re looking for a reader that matches Google Reader but doesn’t attempt to plug into every social network on the planet while implementing whiz bang bells and whistles that you’ll never use or want to use, Red Tree Reader is for you. I tried the mobile site in my phones browser and found it functional but all together NOT ideal. If mobile RSS is your thing, give it a go and see what you think…I think this would work better on a tablet than on a phone. My final verdict on this reader is that it will find a home with those of us who hate fluff and think content is king. Cons: Not for social network people, very plain and thus not for people who want anything flashy, can’t reorder feeds, no feed icons, mobile site isn’t the best feed experience at all but works. These 2 RSS readers have a lot going for them and I haven’t seen any of the big tech news websites say anything about them. This is really a shame because they’re two of the best ones I’ve found over the past few months since I started looking. I hope this post helps you make a decision in your quest to replace Google Reader. If you have further questions about these readers, I’ll do my best to answer them in the comments. Thanks for reading! Sometimes I read comic books. I would hope that some of you do as well. I collected the paper version of comic books when I was a kid (Mostly Superman and Spiderman) and I’ve graduated up to the digital version now. Comic books in digital format usually use the .cbz or .cbr file extension. To read these in Windows or on my Linux desktop (I was running XFCE for the year or so) I had to use a specialized application…a comic reader…to do this. The program I used in Linux was called Comix and it did a great job when I used XFCE. I know you can also use Evince and I’m sure it does every bit a good job as Comix does. Both are GTK applications though. Since I now use KDE 4 on my primary workstation, I wanted to see if there was a Qt application that I could use and I was very disappointed when I didn’t find any. So, there I was with comics in my Home Directory collecting dust with nothing preferable (read: Qt based) to open them up to read them. I double clicked on one of them in frustration….and I was surprised when it opened right up. Okular, the do-it-all reader for KDE4 opens up every comic book I throw at it. I was saved…rather, my comic collection was saved. Very handy that the KDE4 devs put in such a great tool to open so many formats. So if you’re looking for something that can handle your comic collection, look no further than Okular which comes preinstalled with most KDE4 based distributions. The problem is that on Ubuntu or Debian, the libssl and libcrypto libraries are out of date. Hackety Hack’s program requires versions greater than 1.0.0 and 0.9.8 is installed. The fix is of course a symbolic link. But how do we do this and more importantly, WHY do we have to do this to fix it? Let’s go through what they are first. Look on your computers’ desktop right now. If you’re like most people, you’ll have many shortcuts to different programs that you access daily. On my Windows 7 machine at work, I have around 40-50 shortcuts to commonly used tools and places I access to accomplish my job. Those are, in a nutshell, what symlinks are. They’re pretty much just advanced shortcuts and with the case I’m going to present today…shortcuts without an icon. Symlinks redirect a computer to an end location OR make a computer think the end location is where the shortcut is…and since they perform these 2 functions, there are 2 types of them. Soft Link – When you click on/open a soft link, you’re redirected to the location it is pointing to. For example, if you click on ‘My Documents’ on your desktop, you’re redirected to a path on the C: drive where your documents are stored. Hard Link – A hard link makes the computer think that the shortcut is the actual end location. So, using our ‘My Documents’ example above…the computer would look at the ‘My Documents’ shortcut and it would see it as the actual end location instead of a pointer to the end location. What Would I Use a Symbolic Link For? Do you use dropbox or box.net or any other cloud storage system to share files/store files/backup files? Then a symbolic link might be a good option for you. Imagine that you setup a folder on your desktop that is named ‘send-to CLOUD’ and when you drag and drop files to that folder, it sends it directly to those cloud storage systems. This is something that symbolic links can accomplish. Another case might be if you need files stored in 2 different locations. Maybe you want to have settings files for an application be redirected to dropbox so that you can access it and use it on another computer. As you can see, there are many different reasons for using symbolic links. How Do I Setup a Symbolic Link? In the above example, your /tmp folder will now appear in 2 locations…both /tmp and the /other/location/tmp. Please understand that /other/location/tmp has to actually exist <em>before</em> you issue the command. How Do I Fix Hackety Hack on Debian? The output tells me that there is a libssl.so.0.9.8 in two locations: /usr/lib and /lib. I’ll need to symbolically link both of those with a soft link so that when the program looks for the file libssl.so.1.0.0 it finds it and the link points it back to libssl.so.0.9.8. Now that those to locations are created, we need to follow up with libcrypto which resides in the same two directories as libssl. Now that both of those are linked to our actual ssl and crypto libraries, you can try running the file from Hackety Hack again. For me, this fixed the initial two problems but I still have a failure when the installer does a hard check for OpenSSL 1.0.0 and unfortunately, I don’t have a complete solution for it yet. So, I suppose I lied a bit with the ‘fix’ for Hackety Hack. The above information is good though for other programs that might require libraries similar to the ones we linked. 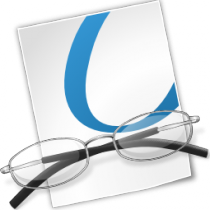 Hopefully, you now have a decent understand of how and why to use symbolic links. In the past few weeks, I’ve come to realize 2 things. First, the collegiate football (American) offseason is somewhat boring…bring on the SEASON! Second, people’s Gmail accounts are getting hacked….a lot. I’ve seen 2 of my friends have their accounts hacked in the past month and a half. While there is nothing I can do about the first one, there is something I can do about the second. I figured it might be a good idea to share how I generate passwords for web resources like Gmail and any other web based service. I can do this in ANY browser…Opera, Chromium, and Firefox…and any operating system; because I use a tool called LastPass. LastPass is a password vault for your browser. It can remember any password you type on the web and it can also fill out forms for you (if you’d like). I’ve been using it for about years now but have only recently taken advantage of their handy tools to generate passwords. I’m going to walk you through setting it up in Firefox and generating passwords. Hopefully, this will inspire you to change your password to something a little more complex to thwart hackers. First of course, install the add-on/extension. This process will differ depending on your browser. Once LastPass is installed, make sure you sign up for an account or sign in to your existing one. Remember, LastPass allows you to use a master password to keep a lock on your entire array of of websites you visit. It takes security a step further by way of password generation. Which one seems harder for hackers to figure out to you? So let’s get started. During the installation for LastPass it should have told you how to access the menu…either through a standard menu or perhaps a button. Once you access the LastPass menu, look for ‘tools’ and then choose ‘Generate Secure Password’. As you can see, you can increase the number of digits for password length…I’ve increased mine to 14 characters…and you can increase the Minimum Digit Count. I’ve done so and moved it up to 2 digits. Customize it however you like and once you have it set the way you like it, you can click ‘close’. The options will save for the next time you go to generate a password. Now it’s time for us to actually change a password. How do we do this? Well, if you already had a LastPass account, you can visit your password vault and search for the site you would like to change. Once you find it, you can open up the password generator and generate a new password…then edit the site inside your password vault and paste the new password. Your job isn’t over yet though as you need to go to the actual site and change the password there as well. If you haven’t used LastPass before, just visit the site you would like to change the password at and login. LastPass will detect that you’re logging in and will ask if you want to remember the site you just logged in to. You should select ‘save site’. 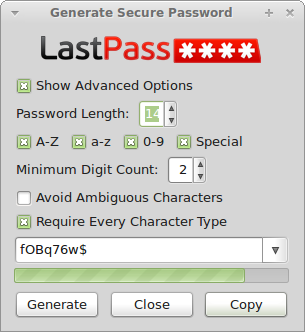 After you’ve logged in, go to whatever password change link the site provides and go ahead and change the password using the LastPass password generation tool pictured above. LastPass should detect that you’re changing the password and ask if you want to update the site. Remember, you can always manually edit the password inside the LastPass Vault. I’ve shown this process to people I work with in Information Technology and they scoff at this idea of having randomly generated passwords. 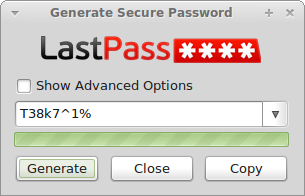 They often say ‘how will I remember the randomly generated password?’ and that’s the beauty of LastPass. It remembers so you don’t have to. Once I tell them this, they generally move onto the question ‘well, what do I do if LastPass isn’t installed on the computer I’m using?’ and once again, the solution is LastPass. Just head over to www.lastpass.com and login using your account details. You’ll be redirected to your online password vault. You’ll be able to fully manage everything as if you were using the extension in your browser. You’ll also be able to copy and paste passwords by clicking ‘edit’ on the sites and ‘show’ beside the password field. Sure it’s a bit more work…but it’s also quite a bit more secure. Don’t put your trust in things you think are difficult for hackers to guess…chances are, it isn’t that hard for them to do so…allow LastPass to randomly generate them for you. That way, you’ll never have your email account hacked like my friends did these past few months…unless you really do want to support the sale of pharmaceuticals or would like to enhance certain appendages. I hope this helps you to use secure passwords in the future! If you have questions, please let me know in the comments and I’ll do my best to answer them! Thanks for reading!